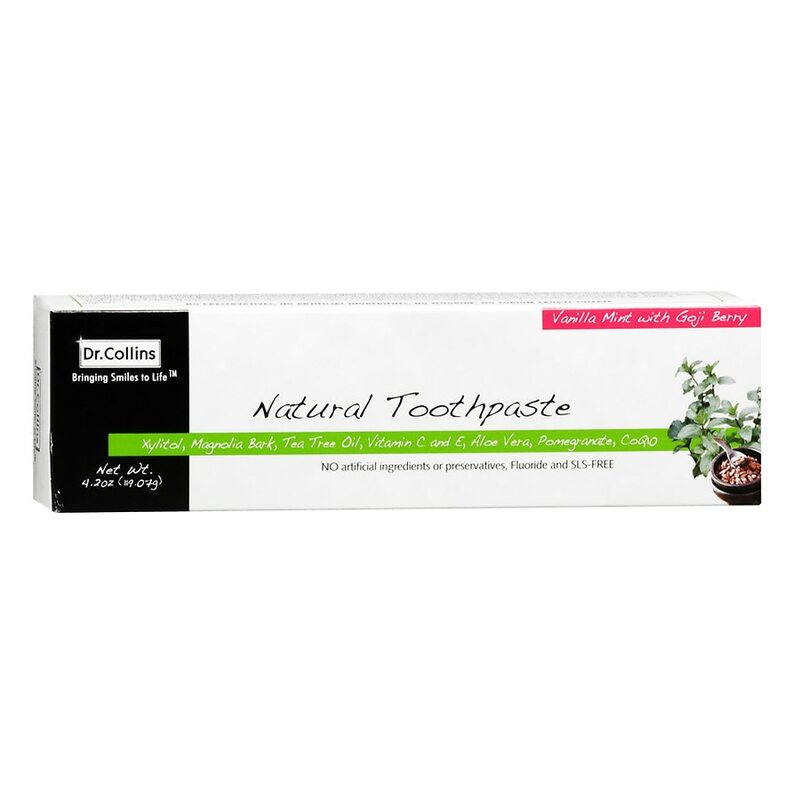 Dr. Collins Natural Toothpaste is the latest development in natural oral care. Featuring the finer ingredients found in nature, Dr. Collins Natural Toothpaste includes Superfruits, Antioxidants, and Vitamins to support optimal oral health. Dr. Collins Natural Toothpaste also contains Tea Tree Oil and Magnolia Bark, natural antiseptics that fight bacteria and freshen breath. The 25% concentration of Xylitol in our formula also helps reduce the development of cavities and with 1/3rd fewer calories than sugar, is a great alternative for people with diabetes. Dr. Collins Natural Toothpaste also contains Silica to gently polish and naturally whiten your teeth without harsh bleaching agents. Adults and children 2 years of age and older brush teeth thoroughly, preferably after each meal but at least twice a day, or as directed by a dentist or doctor. Instruct children under 6 years of age in good brushing habits (to minimize swallowing). Use a pea-sized amount. Children under 2 years of age: consult a dentist or doctor.